Home NEWS SPORT Kylian Mbappé is better than Lionel Messi??? Kylian Mbappé is better than Lionel Messi??? Despite the fact that he did not reach 20 workers. The black jewel, Kylian Mbabey, has become the talk of the hour everywhere around the world. 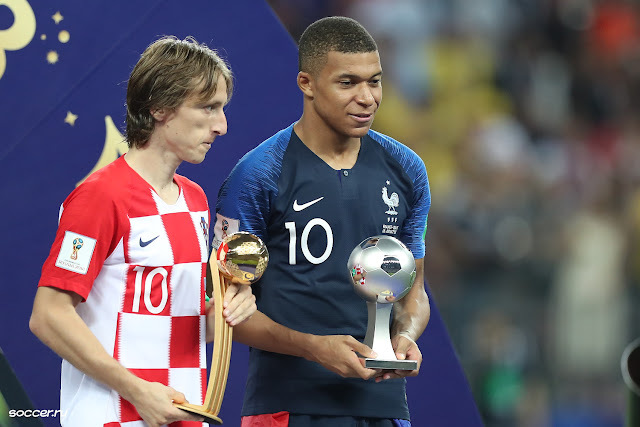 As the French coach Didier Deschamps described him as extraordinary, he said that Kylian Mbappé is doing things that no one can easily do even though he is young. In view of the short period in which the French star had emerged, if we had gone back in time, we would have seen that Kylian Mbappé signed his first professional contract when he was 17 years old and a year later, when he was 18 years old, he scored his first goal in the Champions League and at 19 Of his age won the World Cup, and then Kylian Mbappé spread in the all of world. And became a candidate now to win the goldball ,The former Roma and former teammate Javier Pastore said he was happy to play alongside him and that there was no player who was as good as quirks and had a high speed as well as scoring crucial goals. Kylian Mbappé: Became the first player to score 4 goals in 13 minutes in the French league, this achievement has not been achieved since 45 seasons in the French league. He became the first player under 20 to score 30 goals in the French league. He is also the first youth player to score 12 goals in the Champions League.